Are you ready to make the big leap? You don’t like your job. You’ve known for a while, but hey; it pays the bills! Plus, it’s not like you hate it—you just wish you were doing something else. It’s simply not the right fit. One day something changes. Maybe you’re placed on a special project where you don’t feel qualified. Perhaps your friend tells you about their new job and everything clicks. It’s even possible you were inspired by something on TV. Whatever the reason, you want to make a career change. But is it really possible? You have a steady job right now. Is that worth giving up in pursuit of your dreams? Here at Express Employment Professionals, we see people like this every day. 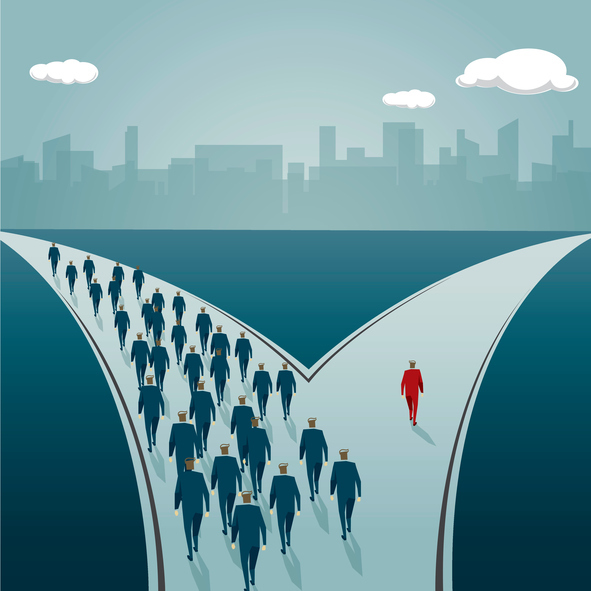 Talented individuals unsure if a career change is right for them. Ask yourself the following questions to get a better idea of whether starting a new path is the best choice. What Do I Not Like About My Current Position? Before you quit your job to head out into the job search jungle, figure out why you’re unhappy with your current position in the first place. Is it the company culture? Your job duties? Your boss? It’s possible that your problems with the job could be solved by changing departments within the same company, or discussing the issue with your boss. You’ll also want to make sure that the problems you have with your current job aren’t going to pop up again in your new job. Learn the type of company culture you enjoy, and what kind of boss you can learn from. Never quit a job because you’re unhappy in the short-term. First, figure out what it is you ultimately want to do in the future. It’s never too late to start working toward a new dream—however, you need to know the steps required to get there. While you keep working at your current job, plan for the future. If you want to switch into a new industry, research the industry online and discover what common career paths look like. Take online or after-hours classes if you can. Really get a feel for the job you want and what a career path in that job looks like. The goal here is to make sure the job switch sticks—you don’t want to hop from job to job. Even if you’re sure you want to begin a new career path, you need to recognize it might be difficult. 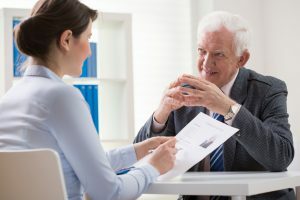 You’ll need to make new professional contacts, learn a new set of skills, and understand an environment that might be completely different from what you’ve experienced before. Make a list of pro’s and con’s. How will the new position affect your family? Is there going to be a longer commute? 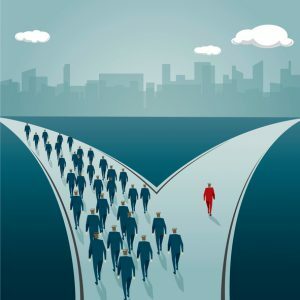 Being realistic about the challenges of changing careers can ensure you run into fewer surprise landmines down the road. 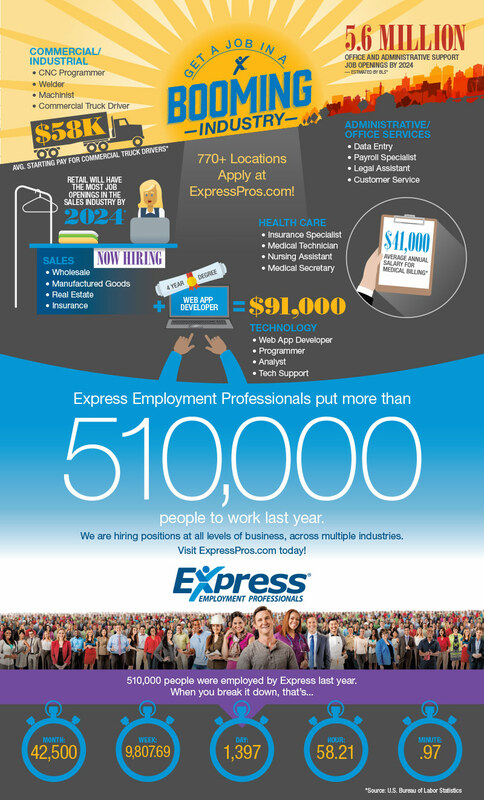 Once you’ve answered these questions and are sure a career change is right for you, contact Express Employment Professionals. 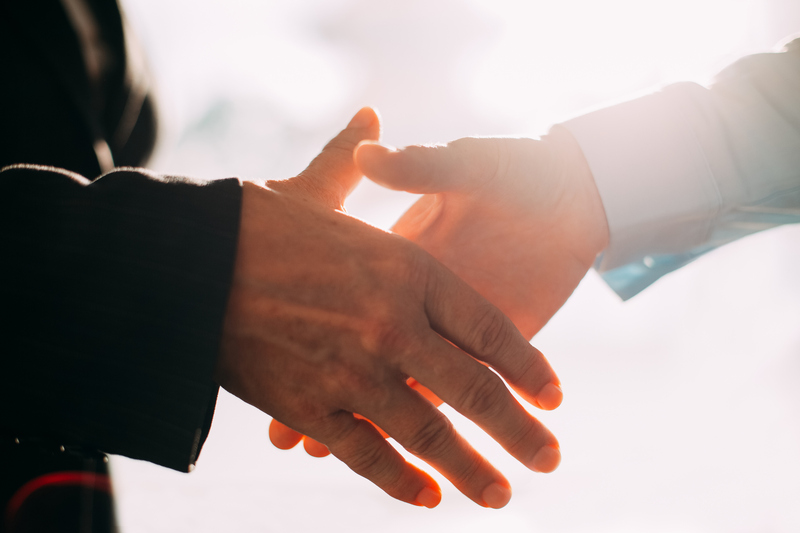 Our recruiters will listen to what you liked and disliked about your past position, and use that information to help you find the right job for you. Staffing companies offer both full-time and part-time positions. This means you could even find a great temp job in your chosen industry before you quit your current job. Think of it as a sneak peek of what a career in that field could look like. Have you ever experienced a career change? Let us know in the comments section below! When you’re working full-time in a position that isn’t your favorite, it can be tempting to take on a short-term contract job that pays more than what you’re currently making. The same thing applies to those who are fed up with the gig economy and want to try out full-time stability. But each type of work comes with its own set of challenges. The perfect choice for you depends on your personality and current economic situation. In this blog, we’ll cover some of the key pros and cons of gig work (aka contract work). Tune in next month to see what we have to say about full-time work! Contract work doesn’t lock you into a company long-term. It provides the freedom to try a company and a career on a trial basis. Maybe you find out customer service isn’t your thing, or maybe a family-owned company is too small for you. Instead of being trapped in a full-time job, you’re free to try something else as soon as your contract ends. When you’re in it for the long haul, you need to forge relationships and ingrain yourself in the company culture in order to be successful. Otherwise you’ll be seen as a loner, and will most likely not progress. Although being a contract worker does not give you the right to be apathetic or rude to co-workers, it does allow for a bit of freedom from the hustle and bustle of the office. You can limit your socialization to contacts needed to perform your job, since you won’t be there forever. Becoming a member of the gig economy means setting your own career goals. Decide what you want to learn on your schedule. Think of it as a continuing education—each job is like a class, where you are free to learn new and interesting skills from a wide variety of disciplines. One day you might be learning an in-demand website building program, the next how to excel in Microsoft Excel. When you’re constantly doing contract work, there’s no prototype career path to follow. You won’t get quality of living raises or promotions. The burden is on you to figure out what your ultimate goal is, and work different jobs towards that goal. Not setting an end goal puts you at risk of floundering from job to job, staying stagnant in your skillset. If you keep taking the same type of job and aren’t being challenged anymore, it may be time to make a change. As a contract worker, you may sometimes feel left out of office situations or events. This can be great if you like your space, but awkward if you’re a more social person. Usually it’s nothing personal—there may be various laws or regulations that prevent the company from letting you come on certain business trips, for example. Other times your co-workers may not take the time to get to know you purely because they know you won’t be there very long. Again, it isn’t anything personal—you just might not be there long enough for them to get close to you. 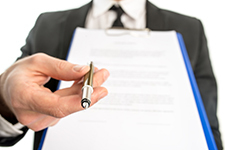 In order to have a dependable source of income, you need to be extremely vigilant when it comes to contract work. Since you don’t know in advance where your next job is coming from, you should get in touch with your contacts or recruiter about six weeks before a job ends. Otherwise there may be periods of unemployment between jobs. Meaning contract work might not be the best choice for those with families to support. Contract work also necessitates finding your own insurance and retirement account, as those will not be offered by companies. You will also miss out on other potential company perks such as profit-sharing or paid childcare. And if you’re ever let go, there won’t necessarily (depending on the contract) be unemployment to fall back on. So, who is gig work best for? Someone who wants to explore what’s out there without being tied down. Someone who isn’t always looking for their next raise or a chance to climb through the ranks of a company. Or even someone in the military whose spouse could move at a moment’s notice. Basically, someone who wants the flexibility to do what they want or try jobs on a trial basis at the cost of job stability. Have any opinions on gig work? Let us know about it in the comments below! If you’re looking for an accounting job, you’re in luck! According to the Bureau of Labor Statistics, accounting and auditing positions are expected to grow for the next seven years. With over 1.3 million accounting and auditing jobs in the workforce and another 142,400 projected jobs to open up by 2024, this is one career field to get excited about. Not only is the job outlook on the up-and-up, a nationally recognized holiday has been established to celebrate this great career field. 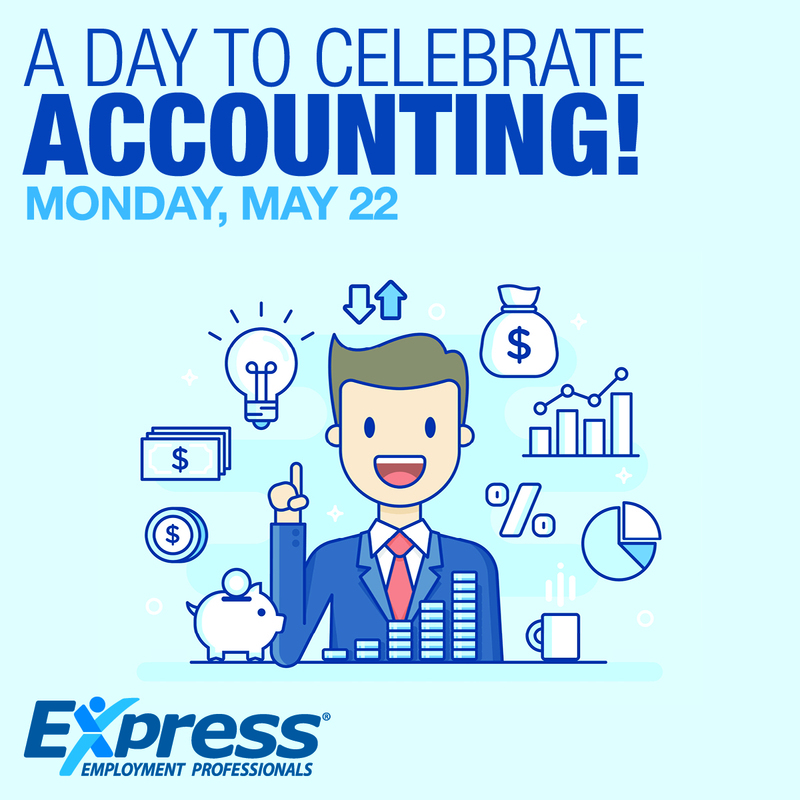 On May 22, make sure to give a shout out to those who spend countless hours poring over financial ledgers, creating invoices, and keeping the company’s books balanced! 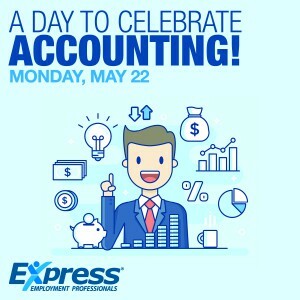 If the growth in the industry isn’t enough to boost your confidence in the accounting career field, the median annual salary for an accountant is more than $67,000. That’s more than 50% higher than the annual median wage of all other workers combined. Now that’s something to celebrate! Forbes recently released the top sought after undergraduate and graduate degrees for getting hired, and you guessed it, accounting is in the top three on both lists. Within the 169 employers surveyed, 59.7% said they would hire graduates with a bachelor’s degree in accounting and 23.6% with a master’s degree in accounting. Accountants are needed not only in the corporate world but in personal affairs as well. Are you uncertain you have what it takes to be a great accountant? Here are some character traits and skill sets you should strive to master to become indispensable to any company. Want to take your accounting career to the next level? Become a member of a professional organization. Not only does this show employers you are investing in yourself, but you’ll truly benefit from the continuing education opportunities typically associated with professional organizations. Networking is another reason to join. 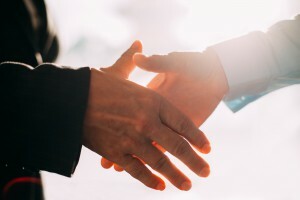 Making connections with peers and mentors within your field can provide lasting relationships that will undoubtedly have a positive impact on your career. Are you in the accounting field? Let us know your success stories or how your job search is going in the comments section below.